Christina Stanley is a Bay Area-based violinist, composer, vocalist and artist. 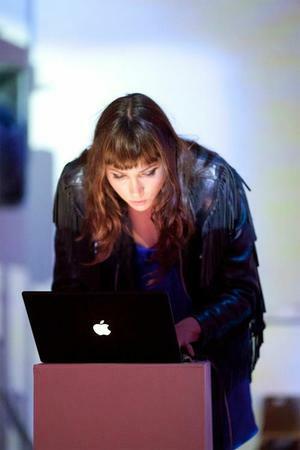 She is active as a performer, improviser, electronic musician and teacher and has performed throughout Europe, the continental U.S. and Cuba. She performed at SFEMF at SF MOMA and has premiered works by Roscoe Mitchell under conductor Petr Kotik. Her original painted graphic scores have been featured at the Outsound New Music Summit in San Francisco, Temple Ad Hoc in Los Angeles and Rock Paper Scissors Gallery in Oakland. She holds a BM from San Francisco State University, studied theater at HB Studio in New York City and holds an MFA in Music Performance and Literature from Mills College. She is passionate about working with living composers and composing new music.